Workforce communications and collaboration tools, as employees know them today, are as likely to increase distractions as they are to boost productivity. Workforce productivity in the enterprise is suffering because these various tools and off-the-shelf applications used by teams and workers to communicate only address niche solutions, and are disjointed from workflow processes. The end result is scattered communications, costing the U.S. economy $650 billion every year. But going forward, expect to see communications and collaboration evolve in a number of ways that will improve workforce productivity and employee efficiency. While not all of these developments will fully come to fruition in 2016, the increasingly millennial and distributed workforce is already ushering in a sea change in expectations that businesses and technology vendors must meet. Three trends in particular are poised to upend workforce communications and collaboration in the near term. Email remains a necessary evil for employees when it comes to both internal and external communications and collaboration. It is for this reason than many vendors have tried – and failed – to build a better email mousetrap. Mailbox, for example, launched with significant hype and fanfare in 2013, as hundreds of thousands signed up for the app’s waitlist. Its approach promised a more simplified, gesture-based mobile email experience whereby users could swipe their device to trigger various email actions. Dropbox eventually acquired Mailbox, before shutting it down in December. Mailbox, and other apps like it, struggled to address the fundamental frustrations and inefficiencies inherent to email. A McKinsey 2012 report found that reading and answering email accounted for 28 percent of an employee’s weekly work tasks – a problem, given a separate study determined that the average worker’s IQ dropped 10 points when distracted by email at work. There is growing evidence, however, that email’s grip on enterprise communications is loosening. A 2015 BroadSoft survey of global telecom service providers and industry leaders revealed that 82 percent of respondents expect Over The Top (OTT) integrated messaging and collaboration applications to disrupt the business email market, while only 18 percent feel email will remain the primary business messaging tool. As next generation, richly contextualized communication-enabled real-time messaging platforms become more widespread, email becomes simply another tool in the deeply integrated toolbox. A tool that is more efficient because the intelligence and context being fed into it – and vice versa – will enable searchable files, images and web resources for both individuals and teams. While there is no shortage of web and video conferencing solutions available today to businesses of all sizes, most are limited when it comes to integration with unified communications and core business applications. This lack of integration only serves to compound scattered communications, and leads to $37 billion wasted each year on ineffective meetings. The fact is that the very nature of in-person and virtual meetings is changing. The millennial and dispersed workforce is less inclined to participate in scheduled meetings at a fixed time or place, and is instead very comfortable with more fluid, project-based team collaboration. In the latter model, there is a need for persistent team workspaces that individuals inside and outside the organization can easily create, join and manage, in addition to providing users with online tools to rapidly exchange ideas and content while preserving the history of the collaborative effort. Going forward, more intelligent, flexible and lower-cost web/video conferencing and collaboration solutions will be defined by these persistent workspaces where each participant is presented only with the files, tasks, conversations, notes, instant messaging dialogues and other processes most relevant to them for the project. Scattered communications has unearthed a massive gap between worker needs and what technology vendors are actually delivering. Imagine having a single interface on your computer screen or mobile device that brings together every tool you and your team use to perform your work – including communications and messaging, contacts, office applications, enterprise software, team productivity tools, and even shared storage services such as Google Drive and Dropbox. Knowledge workers spend most of their time communicating and collaborating on various applications, and thus end up constantly switching between disjointed applications and searching for relevant information. Providing users with a centralized place that provides quick access to the business apps that they use daily – along with the ability to communicate in real-time, access and share files, and have contextual information pertinent to the conversation at their fingertips – will significantly increase productivity and close the gap scattered communications has created. 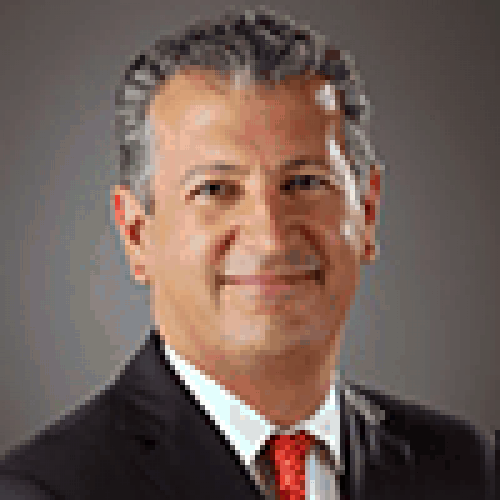 Taher Behbehani is CMO at BroadSoft, a global unified communications software as a service (UCaaS) provider. is CMO at BroadSoft, a global unified communications software as a service (UCaaS) provider.